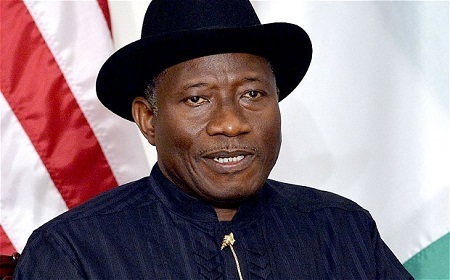 A sociopolitical organization on Friday said former president Goodluck Jonathan will receive the greatest shock of his life if he decides to contest the 2019 presidential election. The group, known as Movement For Credible Polls, via a statement signed by its president, Emma Oketi, warned the former president to be wary of “those deceiving him that he still has unfinished business in Aso Villa come 2019”. It said Nigerians will not forget in a hurry how the nation was stripped bared and grounded by the former president and his cohorts between 2010 and 2015. “We believe anyone urging the president to contest in 2019 is his greatest enemy. They deceived him in 2015 and left him in the lurch after losing out. Now they are trying to embarrass him further by asking him to contest in 2019. “As a group, we believe Nigerians cannot afford to have another Jonathan presidency again. If he ventures out to contest, he will be pelted with stones even in his home state of Otuoke, the group said.